Learn to Fly 3 is an interesting arcade game and the fourth installment of series game Learn to Fly. It was created by Light Bringer Games and published on February 19, 2016, on Kongregate. Different from its previous installments, this game is not only able to play on the browser, but also able to play on Steam. And according to the opinion of many players, Learn to Fly 3 is really a great game. And it even more successful than its previous games. The story of this game is still revolving around a penguin. It starts at his house and when he is reading his emails. There is an email insulting him that he is able to fly but not to space. Too angry with this email, the penguin punches his monitor's screen and then takes off out of the house. He decides to go learn how to fly and goes to the Penguin NASA building. When he is doing a lab experiment, there is a professor comes up and tells him how to launch to the moon. He quickly exits the building and does following what the professor says. After a series of equipment upgrades, he eventually can do it. In addition to that main plot, there is a different cut scene in this game. It still takes place in space and can be triggered when the penguin travels through space at a very high speed. After that, he impacts with the moon and makes it break into pieces. If players can trigger this cut scene, they will earn an achievement named as the "Moon Breaker". The gameplay of this game mainly focuses on a vertical, launch style game and quite different from its previous games. Players can enjoy this game through 4 different modes including Story Mode, Classic Mode, Payload Mode, and Sandbox Mode. In which, Story mode is the default mode that players need to overcome to unlock the rest ones. This is the first game that new players need to overcome (unless they use the easter egg to unlock remaining modes). The players' main task in this mode is to earn money and get better upgrades to prove that penguins can make it to space. There are 6 levels in this mode. Firstly, it is a race to the moon at an altitude of 200k difficulty. After that is 500k difficulty, 1M difficulty, and 4M difficulty. Finally, in order to beat this mode totally, players are required to complete each game faster and faster. In detail, they are required to beat this mode on the difficulty of 200k in under 11 days; beat it on 4M difficulty in under 29 days; beat it on 200k difficulty in under 7 days; or beat it on 4M difficulty in under 14 days. And of course, with people who can pass these challenges, they will receive the reward and medal worth their effort. After completing the story mode, players will come with the classic mode. This mode offers a similar concept to the original games. It requires players to control their penguin and fly right to a certain distance. However, different from the original games, in this mode, the required distance for players is 500000 instead of 6000 like in previous games. There are two medals in this mode including Classic Mode and Classic Challenge. The medal Classic Mode is earned by finishing the game while the Classic Challenge is earned still by finishing the game but just in under 11 days. This is the exclusive mode to this game. It is also obtained by completing the story mode for the first time. 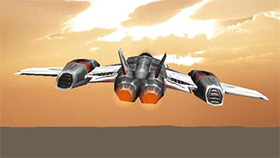 In this mode, the main mission of players is to try to carry a given weight while flying to space. A special thing is that the space in this mode is always at the altitude of 200000'. Players will complete this mode if they can carry the heaviest payload (150) and fly to space. If they can do it, they will receive the medal Payload Mode. In addition, if they can complete this mode in under 16 days, they will receive the Payload Challenge medal. The rest mode in this game is Sandbox. This is also the gamemode exclusive to Learn to Fly 3. You can unlock this mode by complete the story mode 200k for the first time. There are no aims or objectives in this mode and players can modify various factors in game such as Weight, Payload, Speed, etc. This is also the only legitimate mode that allows players to cheat to overcome. There is only a medal in this mode - sandbox mode medal; and players can get it by playing 20 days in sandbox mode. As mentioned above, in sandbox mode, this game allows players to use cheat codes to complete the game. So, the keyword such as "learn to fly 3 codes" or some other keywords similar are being sought by lots of players. Bellow, we list for you some cheat codes of this game. IBelieveICanFly: this code gives you 250 bonus point. BirdIsTheWord: This code also gives you 250 bonus point. WhoSaysWeCantFly: This is another code that gives you 250 bonus point. ThisIsAnAwesomeCode: This is a cheat code that provides you with all items in game Learn to Fly 2. In order to use these code, players must enter them under Extras on the main screen. After that redeem code. HUB customization: This feature allows players to customize all things related to HUD including the style and where parts of the HUB are located on the game screen. Customization: This feature allows players to customize Pingu by their way. They can customize the bodies, hats, faces, etc as long as they have enough bonus points to purchase them. In addition, they also can change the hue, brightness, saturation, and contrast of Pingu and his clothing through using this feature. Booster Packs: After completing the story mode, players will be able to choose one of four different booster packs to improve their skills. Each pack consists of different bodies, stages, boosts, launchers, sardines, Consumables, and Bonus Points. In addition, this booster pack is also able to be purchased by using 30 sardines. Black Market: This feature isn't new but it's still the prominent feature in this game. It is a shop where players can find and purchase lots of unorthodox items. Use arrow keys to control direction. Upgrade as soon as you can to complete the game quickly. Some medals grant you permanent bonuses. Using the cheat codes above to cheat this game. It can't deny that Learn to Fly 1 and 2 are really great games but Learn to Fly 3 is even more excellent. Interesting gameplay and various additional prominent features make it so attractive. For this reason, lots of people want to play it even on their break time at school or workplace. However, it isn't easy to access the gaming sites in these areas because they block most of these sites. If you also experience this situation, then congratulation! You are at the right place and we can solve your trouble in a second. 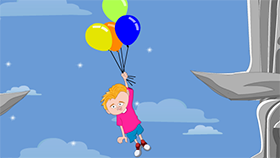 On Freegames66, we provide our users with Learn to fly 3 unblocked game. With this special version, players can access this game anywhere they want as long as they are connected to the internet even at school or workplace. With a simple and friendly interface, surely you will have lots of exciting moments when playing this cool game on our site. What are you waiting for? Let's jump into the game world and enjoy it! How to get sardines in learn to fly 3? There are several ways to get sardines in this game. In which, the most popular way is to get from booster packs. You can get these packs after completing one of the modes. In addition, you also can get sardines in the black market. In detail, you will find an arcade game in the black market; and if you beat the high score there, you will get 15 sardines for free. How to beat learn to fly 3 in 6 days? In order to beat the story mode in 6 days, let's do follow our guide below! Day 1: Purchase box body and 2 RC copters. Day 2: Let's upgrade your RC copters. Twice times will bring the best result. And then, spend the rest on lvling box body. Day 3: Purchase an Aux Rocket boost and lv. RC copters, after that, use an Earnifier. Day 4: Let's purchase launcher and spend the rest on RC copters. Use leftover on Aux. Rocket. Day 5: On this day, let's use your money to purchase the Hero Costume and sell the Aux. Rocket and RC Copters. After that, use the rest money to purchase lvling explosives. You also need to use the Earnifier this day. Day 6: Upgrade your explosives to at least Lv.7. In addition, if you have enough money, let's spend it to upgrade Hero Costume. You also need to use your Speedifier on this day and always be wary of obstacles. Hope that this guide can help you complete the game and earn the reward.